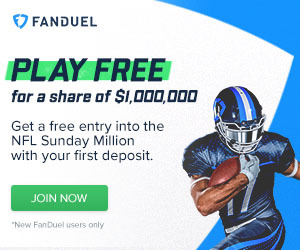 Are you are looking to get the most out of your week 14 RB picks on daily fantasy football sites like Draftkings and Fanduel? You will need to identify key matchups as well as utilizing players with the most value. Finding value from your DraftKings week 14 RB picks can really save you some money on the rest of your lineup. This is because you can find very inexpensive running backs that will give you huge numbers. Take for example week 12 and week 13. In week 12, Isaiah Crowell was priced at $3,800 and ended up with 20.8 fantasy points. Then last week, Tre Mason, who was valued at $4,600, delivered an astounding 40.4 fantasy points. Another quick tip on strategy for your week 14 RB picks. If you're playing in a tournament, try putting 1-2 players on your lineup that are in the $3,000-$4,500 range. The RB2 slot is a really good spot on your lineup to target an inexpensive running back. Consider taking a very inexpensive starting running back who is facing a favorable matchup or a situation that may warrant high production for that particular running back. Then, spend $6,500+ for your RB1 slot. Below are my Thursday only results. I placed 2nd in two different Micro Boosters against 1,880 participants, turning 50 cents into $20. In the $2k First Down, I placed 4th out of 2,300, turning $2 into $70. Those were some low entry fee contests but I ended up with a very high ROI. My Thanksgiving Day only contest results. Remember: If you want to get help putting together a complete lineup for all positions, try the Fantasy Knuckleheads Optimal Lineup Tool. If you want to pay up for Bell, Foster or Forte go for it. I think all three of them will put up really good numbers but like I have said before, I really don't like spending over $7,900 on any one player. That leaves me starting with Lacy who really didn't give you the points he should have in week 13 for the price he was valued at. I'm not huge on this pick but I think it has the potential to be great. I suggest you don't put all your eggs in one basket with this play, that is, don't have him in every single one of your lineups. This is two fold, first a lot of people will probably be playing him this this week, second, the matchup isn't as glorious as it appears to be on first glance. The Falcons have tightened up their defense recently as they are trying to make a playoff push in the dysfunctional NFC South. In the last 4 weeks, Atlanta has only allowed 307 yards rushing and 2 TDs. Running backs have scored 3 touchdowns and amassed 258 yards rushing against the Titans in the last two weeks. This is about the most ideal matchup Jennings could hope for. He carried the ball 26 times against Jacsonville and could have another big game against an even more favorable opponent. Jennings did not practice Wednesday and is still listed as questionable to play so you really need to keep your eye on his injury status but if he doesn't, consider Andre Williams at $4,400. Miami's defense has a serious issue with stopping the run recently, giving up 373 yards rushing in just two games. Forsett is a better running back than the last two that have ran against Miami. Can you imagine what he could do against this defense? The price is really good for a guy who has big time upside and could give you 30+ fantasy points like he has before. I like the price and potential here. Saint's offense has been looking more like the high powered offense that most predicted they would be in the off-season. I don't see the Panthers being able to stop that attack and Ingram will have opportunities to get in the endzone. Even with Pierre Thomas back, he carried the ball 23 times in week 13. I know, he burned me last week too but you can't just forget about him for the upcoming week. The Chief's defense is really good at keeping the passing game to a minimum. In week 13, they held Peyton Mannning to 174 yards passing. In that same game, the Broncos ran up 200+ yards rushing. This is common trend for Kansas City and I expect a similar stat line against Arizona. Considering the price and what we saw from him last week, we know the potential for a big game is there. Against a favorable opponent in Tampa Bay we could very well see another multiple touchdown day. There is a lot of value with this pick especially with what Browns' head coach Mike Pettine had said about running back Terrance West regarding his recent fumble issues. The matchup is really good for running backs and the team is looking to get back to punishing running game that they have displayed at times this season. Crowell did not practice Wednesday, so keep an eye on whether he will be good to go come game time. If not, we may see Glenn Winston for the first time this season (see below). Considering what St. Louis did to Oakland last week, you can bet that the 49ers will be looking to follow the same game plan. Run the ball and do it often. Keep this guy on your radar in case Ellington doesn't end up playing. If he doesn't, Grice can step in and give you a good game for a discount price. This is a contrarian play all the way. When I think of a RB contrarian pick, I think of a single game where there is a running back on each team. One of which will seemingly be a sure thing (Eddie Lacy) and the other guy won't even be on the radar (Jackson). If you go against the grain and the sure thing bombs, then you will be in a minority of people who chose the other guy. This means that you distinguish your lineup above the rest. I think Atlanta can really surprise people in this game and I think it will be a closer game than some might imagine. Jackson went over 100 yards last week against a very tough Arizona defense and ended up with the upset victory. I love this play this week. The other back who shares reps on the team isn't likely to play in this game which gives Stewart more carries. The Saint's have been atrocious against the run in recent weeks, giving up 305 yards rushing and 3 touchdowns in only 2 weeks. Murray has been cleared to play through the concussion protocol but is still listed as questionable. He had a sensational game against Kansas City before suffering a concussion. He has an incredible 11.9 yards per carry average on the season (although that is with only 14 carries). He has big upside and breakaway speed. For the price and potential he really should be considered. Loved his performance on Monday night and I see him as getting more touches than Chris Ivory from here on out. The Jets are devoted to the run (30+rushing attempts in week 13) and this will benefit Johnson's stat line. Who? I'm sure that's exactly what you are thinking but there is a unique situation in Cleveland that puts him into consideration for a tournament play if Crowell doesn't end up playing. Pettine said they will look to give Winston some reps this week with the starting offense. This has to do with the fact that West is in the dog house for fumbling the ball in the last two games and also the possibility of Crowell not playing.